The Roosevelt Walk in Bathtub was configured to allow easy access to those confined in a wheelchair. 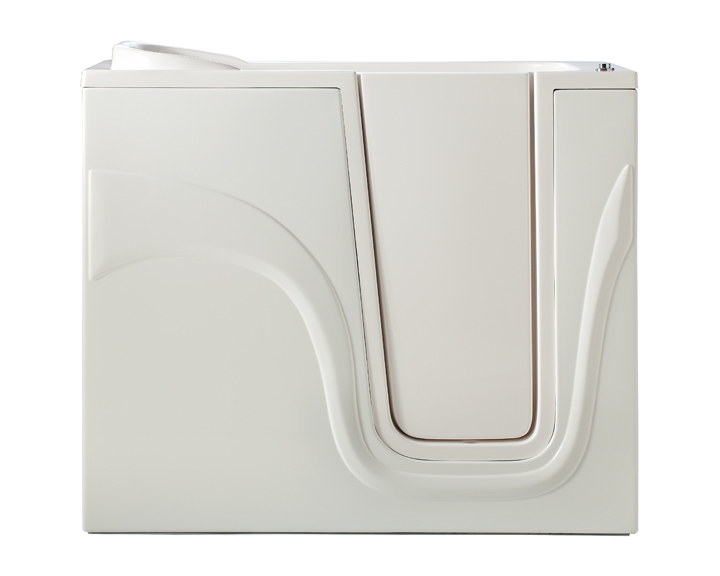 The outward swinging door empowers people with mobility issues to safely transfer to our ergonomically designed tub. Our Lexington Walk in Bathtub was designed to fit in a 48″ area. 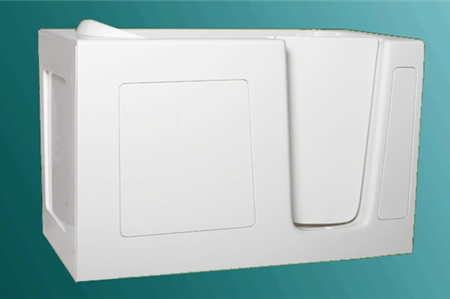 It is capable of replacing an existing 48″ shower. It is our smallest tub available, yet spacious enough to sit in and enjoy the luxury of a safe, comfortable bath. Our best selling Jamestown Walk in Bathtub features sleek lines that make our tub more attractive than others on the market. Our back rest will help you unwind and relax, in a nice hot bath. Add either a hydrotherapy or whirlpool system for the ultimate spa experience! 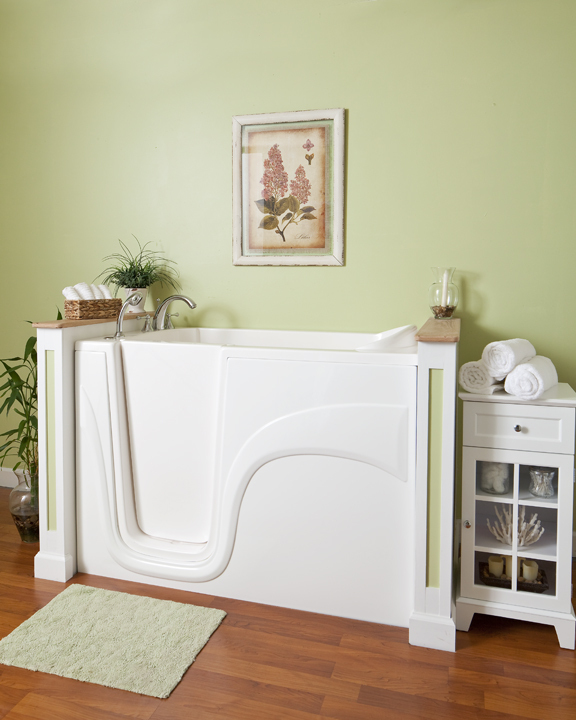 The Charleston Walk in Bathtub was designed to replace an average sized bathtub or shower. It provides ample space for one to sit back and relax. 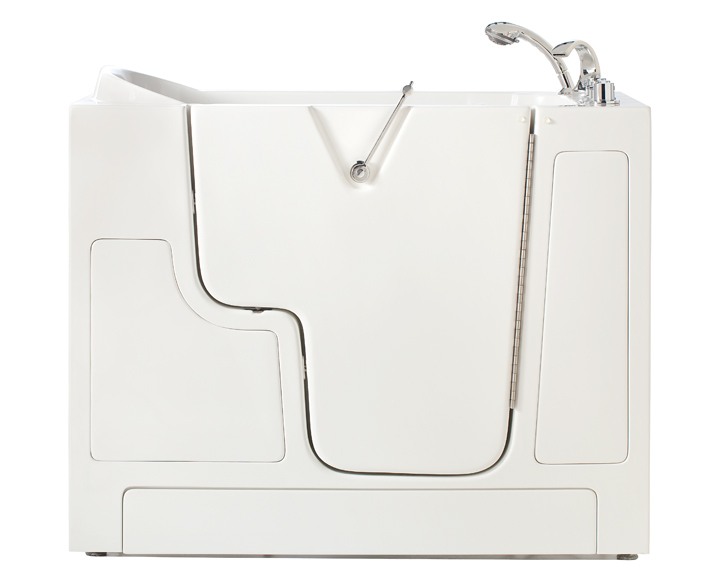 If your tub area is larger than 60″ in length, an optional fill kit is available. Call to speak to one of our representatives today!